조선 선조∼인조 때의 학자이며 관료인 조정(1555∼1636)이 임진왜란 당시에 보고 듣고 겪은 일들을 손수 적은 일기이다. 조정은 김성일과 정구의 문인이었으며, 임진왜란이 일어나자 의병을 모아 활동하였고, 선조 29년(1596)에 도체찰사였던 이원익의 막하로 들어가 활약하였다. 선조 36년(1599)에는 사마시에, 2년 후에는 문과에 급제하여 호조좌랑, 사헌부감찰, 대구판관 등의 벼슬을 지냈다. 그가 죽은 후 이조참판에 증직되었다. 이것은 선조 25년(1592)부터 선조 30년(1597)까지 약 6년간의 사실이 수록되어 있는 글이다. 임난일기는 6종 7책으로 구성되어 있으며 세부목록은 『임진일기』 2책, 『남행록』 1책, 『진사록 』1책, 『일기 부 잡록』 1책, 『서행일기』 1책, 『문견록』 1책이다. 기술형식은 월일별로 행을 구분하여 기술하였으나 간혹 기사가 없는 날에는 날씨만 기록하기도 하였다. 임진왜란에 관한 기록으로는 여러 사람이 손수 적은 수십 건이 있으나, 조정의 『임진일기』는 임진년 10일 정도의 기록이 빠진 부분을 제외하고는 약 6년간의 기록이 다른 어떤 것보다 충실하고 상세하다. 이는 당시 사회상과 군대의 배치상황, 의병의 활동상 등을 살필 수 있는 임진왜란사 연구의 귀중한 자료이다. 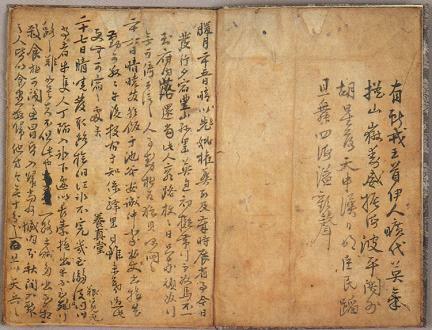 These war diaries were written by Jo Jeong (1555-1636), a scholar and official of Joseon who lived during the reigns of King Seonjo and King Injo. 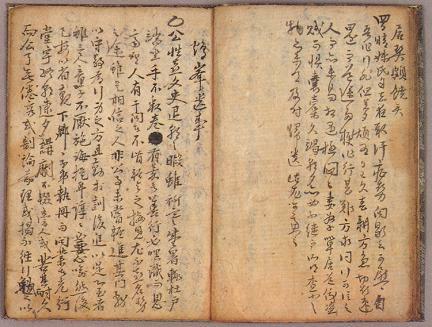 In 1592 (the 25th year of King Seonjo’s reign) when Joseon was invaded by the Japanese, Jo Jeong began his wartime diary, relating both events he personally witnessed and heard from others. He was a disciple of Kim Seong-il and Jeong Gu. When the war broke out, he fought against the invading Japanese at the head of the army of volunteer fighters he raised. 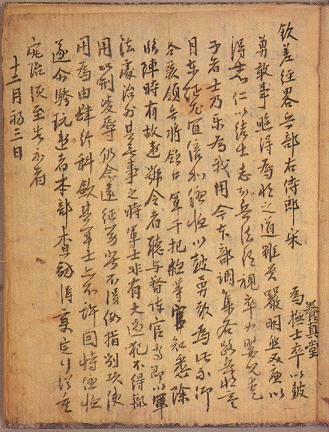 Starting in 1596 (the 29th year of King Seonjo’s reign), he fought under Yi Won-ik, the wartime Supreme Commander. 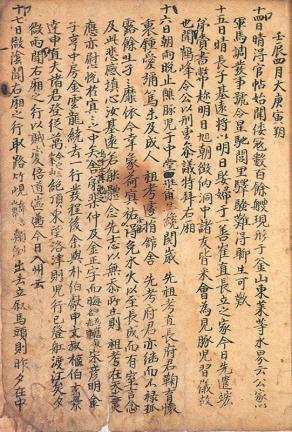 In 1599 (the 36th year of King Seonjo’s reign), he successfully passed the local official recruitment examination, and two years later, the civil service examination. He was appointed as an assistant section chief of the Ministry of Finance, and later a bailiff of the Office of Inspector-General. He also served as the Magistrate of Daegu. Posthumously, he was promoted to the position of the Second Minister of Personnel. 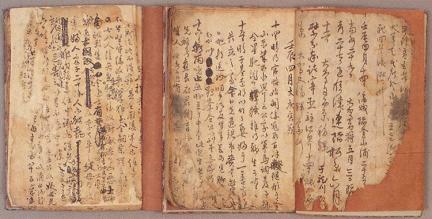 The diaries cover a period of about six years from 1592 to 1597. 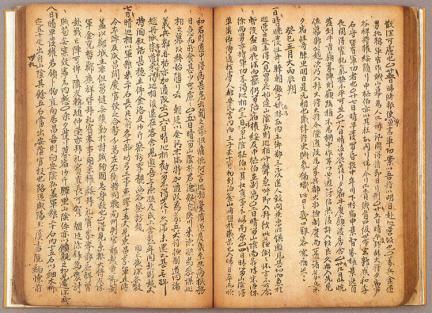 Its seven books are made up of two books of ‘Imjin ilgi’ and one book each of ‘Namhaengnok,’ ‘Jinsarok,’ ‘Ilgi bu jamnok’ and ‘Mungyeonnok.’ The entries are daily, and on some days without events worthy of note, only the weather is reported. 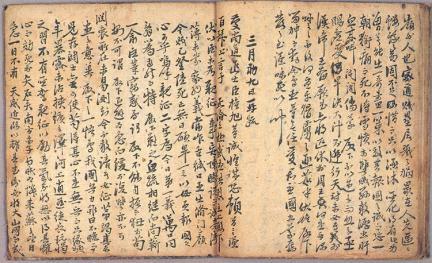 There are dozens of diaries of this type related to the Japanese Invasion of 1592. 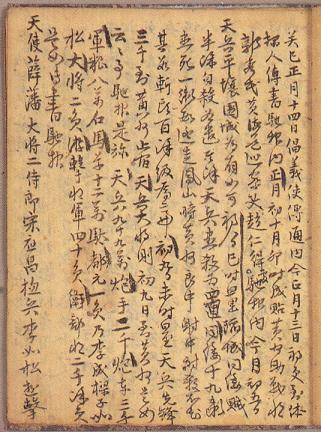 But, ‘Imjin ilgi’ by Jo Jeong is arguably the most complete and thorough records of this war, covering a full six-year period except some ten days on the year of Imjin (1592). 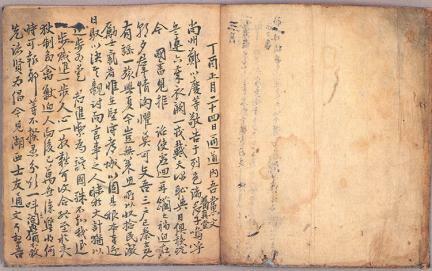 This ensemble of records provides rare insights into Joseon’s society at that time, the deployment of armed forces and the activities of voluntary fighters who joined government forces in defending the country from the enemy.